The Rotork Gears Series ‘AB-SS’ quarter-turn gear operators are rugged, industrial grade products manufactured with stainless steel housing components. 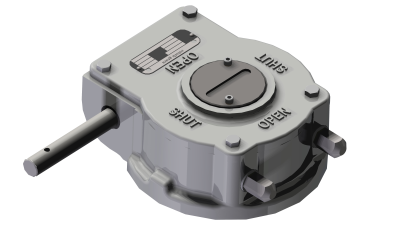 All models in this series feature special sealing of the position indicator and high performance axial bearings. These gear operators are well suited for applications in chemical, power, waterworks, HVAC and most general industrial applications. See AB-SS Literature Page & AB-SS Options Page for further details.